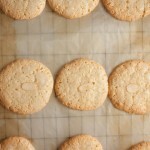 These Macaroons are thinner and more biscuity than other macaroon recipes, as they are made without whisking the egg whites. Pre-heat the oven to 150°C (300°F or gas mark 2 or 130°C for a fan oven). Line two baking sheets with rice paper. If you don't have any rice paper, you can use a non-stick baking sheet instead. 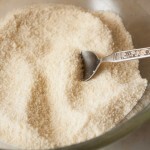 Sift the icing sugar into a bowl and mix together with the ground almonds, ground rice, and sugar. Add the unbeaten egg whites and almond essence, then mix well. 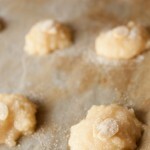 Spoon the mixture out onto the paper into small dollops, approximately one to two tablespoons of mixture per dollop. Alternatively you can pipe out small rounds using a piping bag, but this gives more washing up to do. 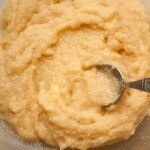 Make sure you leave enough space between the rounds for the mixture to expand when cooking. 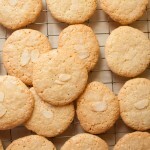 Top each macaroon with half an almond or a couple of pieces of flaked almond. Then sprinkle a little sugar over the top. 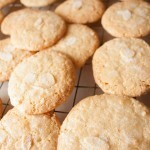 Bake the cookies for around 25 - 35 minutes, until light golden brown. If you are using non-stick baking sheets instead of rice paper, then leave the cookies to cool for a few minutes on the sheets. Then remove them from the sheets. Cool on a wire rack. 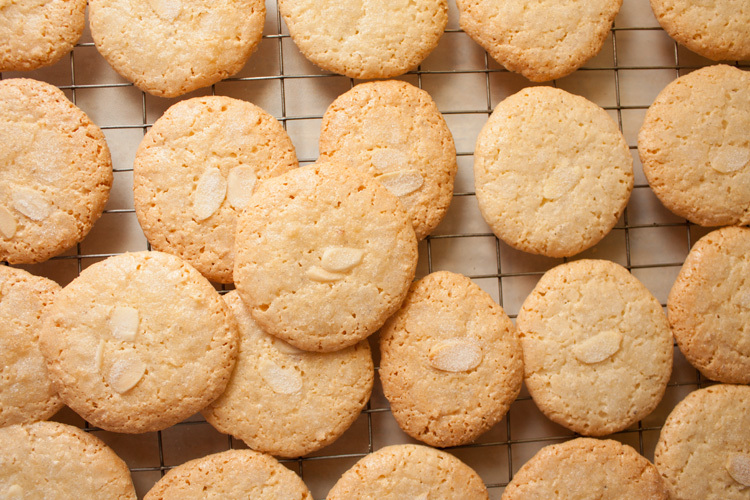 If you are using rice paper, then after the cookies have cooled, cut or tear the paper around the cookies to separate them. For macaroons that are crunchy on the outside but sticky on the inside, store them in an airtight container as soon as they are cooled. 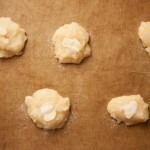 For macaroons that are a bit softer (my preference), leave them out overnight before storing them.